WHEM has worked since 2014 with developers that are in the process of turning a former commercial lot into a future residential lot, with plans to construct a four story, 65-unit multifamily dwelling. A previous Phase II ESA conducted in 2010 indicated that if the property were to ever be changed from commercial to residential that there would need to be corrective action work implemented to control shallow surface soils that are contaminated with PAHs. 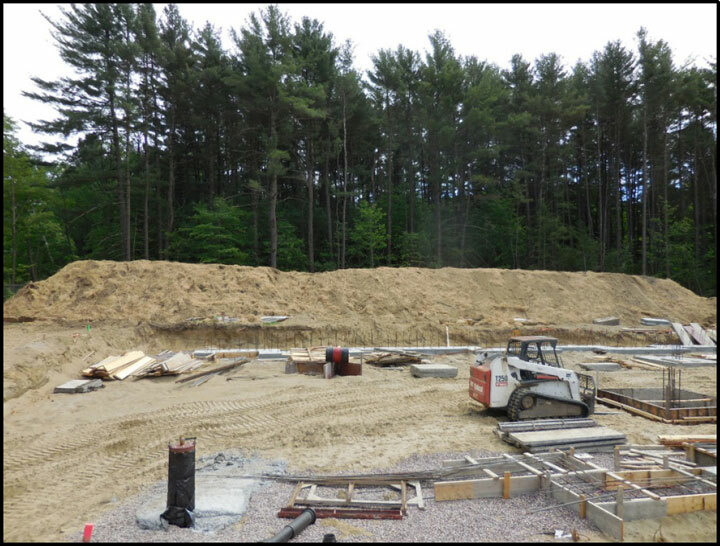 WHEM’s CAP, approved by the VT DEC in January 2016, and WHEM’s Analysis of Brownfield Cleanup Alternatives (ABCA), approved by the EPA in May 2016, called for stockpiling and encapsulation of contaminated soils during excavation, followed by backfilling of the contaminated soils during re-grading work. Throughout excavation activities WHEM conducted confirmatory soil sampling to ensure that soils greater than two feet in depth are not impacted. At the completion of the project, the contaminated soils were all covered with a geotextile barrier and topped with a clean soil cap (minimum of 6 inches). The work was completed successfully in the summer of 2017, after which the VT DEC issued a Certificate of Completion (COC).